Just after a day of 32 years of pain, again massive earthquake hit on Mexico city. 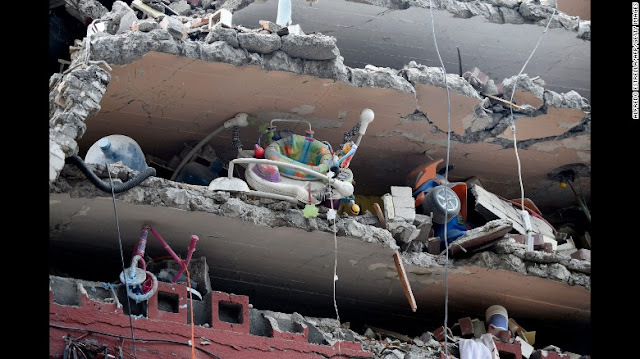 Sad to reports about huge lose of life and belongings of people. 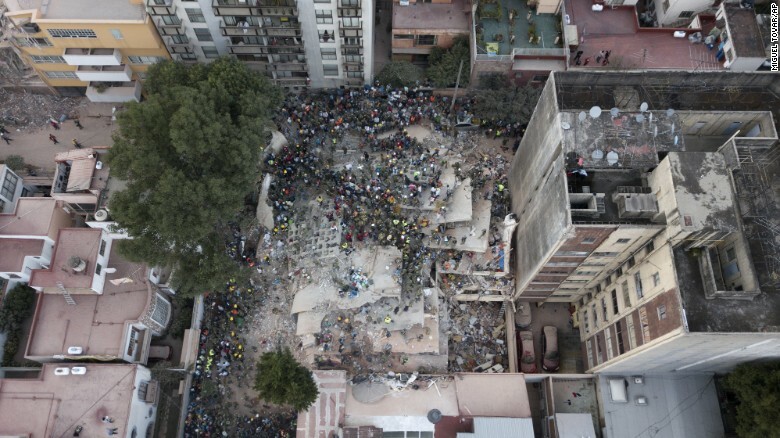 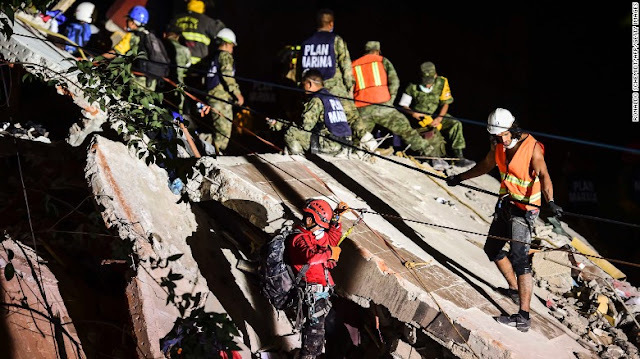 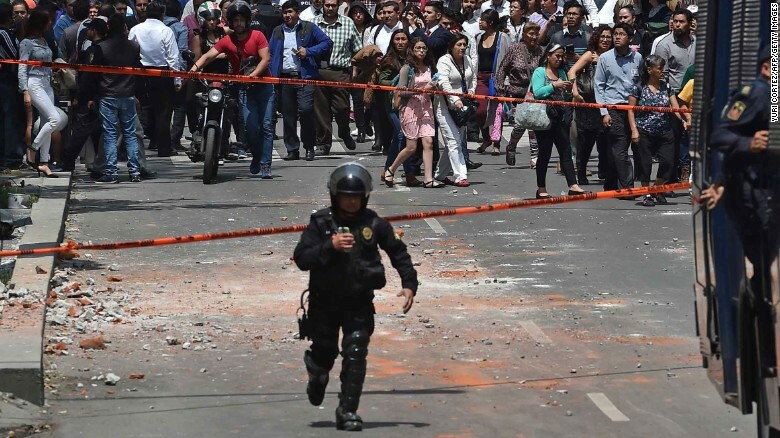 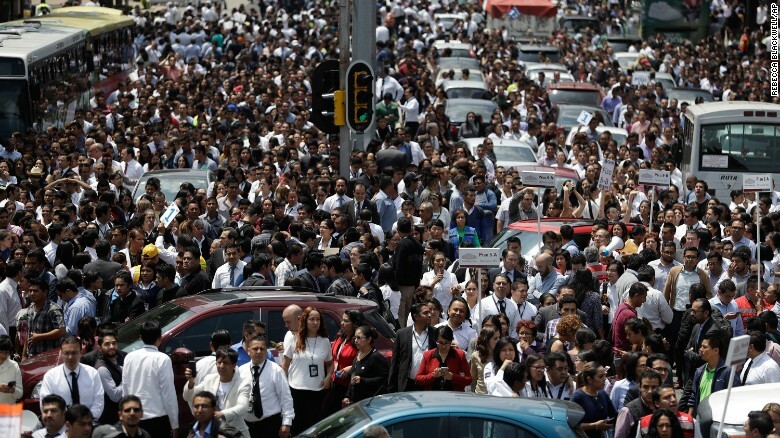 For the second time in two weeks, a powerful earthquake struck Mexico, toppling buildings, cracking highways and killing hundreds of people. 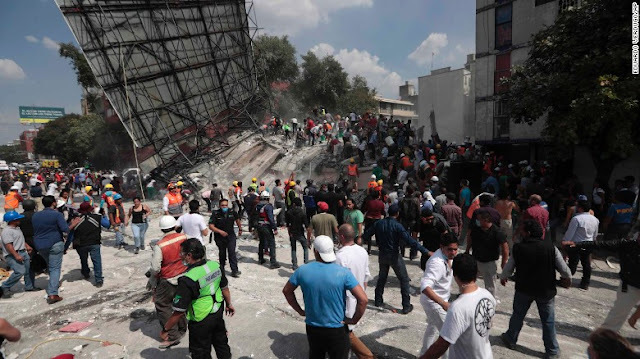 The downtown of Mexico City is notoriously vulnerable to earthquakes because of the very soft and wet ground underneath. 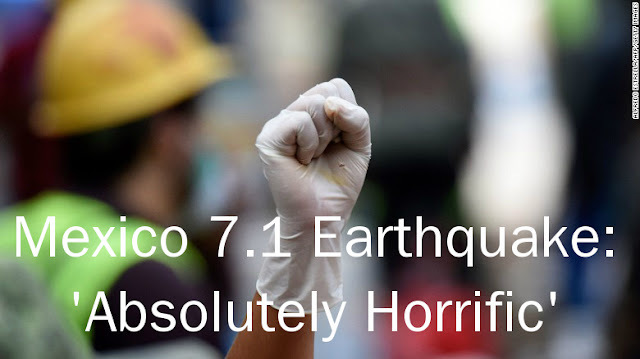 Its soil amplifies shaking like Jell-O on a plate, and is prone to liquefaction, which is the ability to transform dirt into a dense liquid when sufficiently churned," wrote John Vidale, a seismologist and director of the Southern California Earthquake Center. earthquake struck at a depth of about 33 miles (51 km). Mexico City has a system that warns of strong shaking off of the country's coast, according to the USGS. 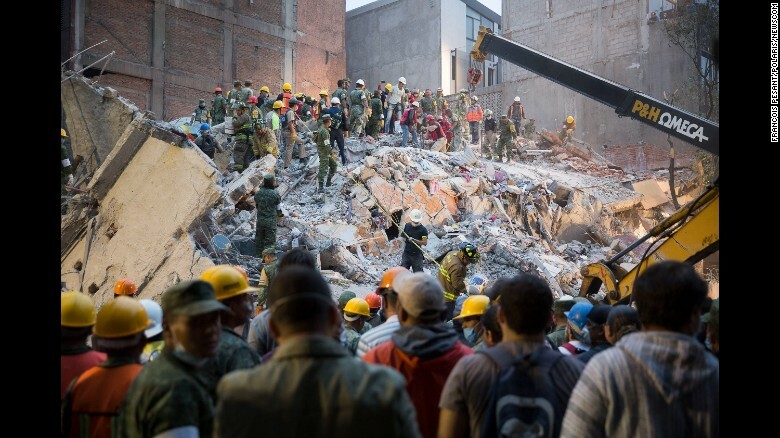 The system consists of sensors that detect shaking from a large earthquake and rapidly determine the location and magnitude. 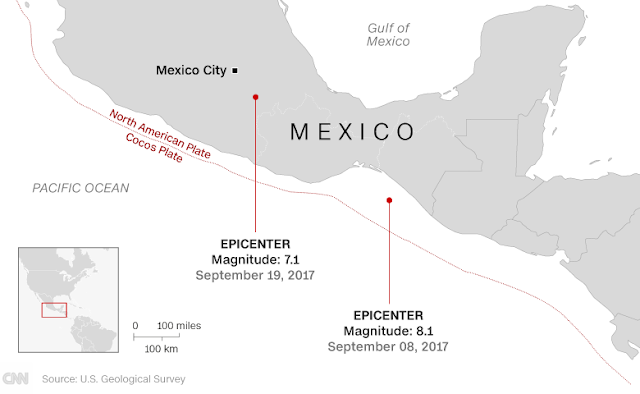 Since Mexico City is hundreds of miles from the main plate boundary, it gets about a minute or more of warning of the impending shaking. As far as the reports says around 500+ casualties reported.